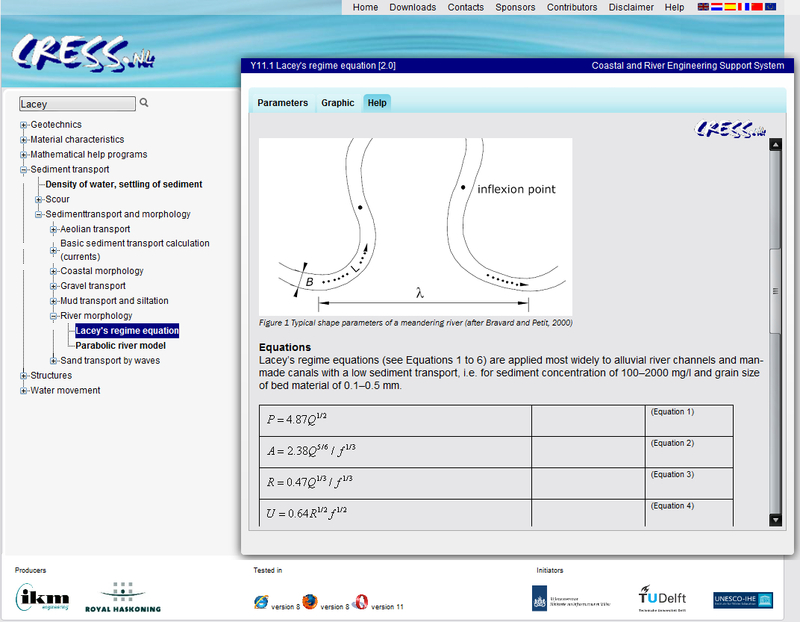 The new CRESS.nl website provides online hydraulic routines containing formulae important in coastal and river engineering. 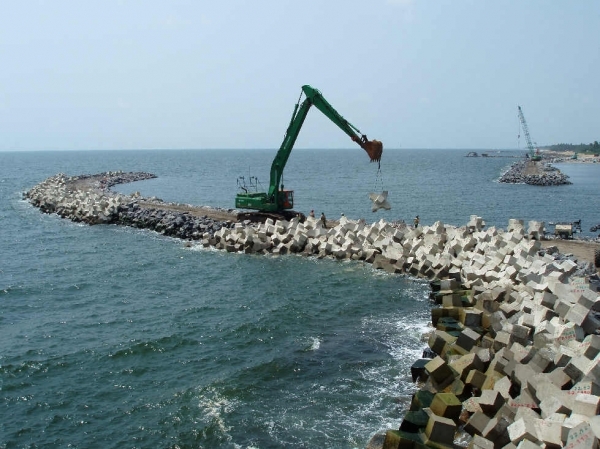 In mathematical modeling of coastal processes there is a tendency to make programs more sophisticated and more advanced. The consequence is that models become more specialized, and also more difficult to handle. 90 % of the problems in engineering are rather standard problems. These problems require only the application of very few formulae. Continuous research is going on to improve the quality of such formulae, although also here is a tendency to concentrate on the more exotic cases. This is very understandable, because for a researcher the challenge of such problems is much more attractive. For the design engineer, this development is not so attractive, because for his daily work he is therefore often condemned to use outdate reference material. Especially engineers working in smaller companies or agencies have difficulties in accessing the latest developments. Because application of a dedicated program requires familiarity with the input structure, many designers having a minor problem, will not use such dedicated programs. The time they have to invest in learning how to handle the program is too much in comparison with the importance of the problem. So in such cases designers often go back to like graphs and design manuals. 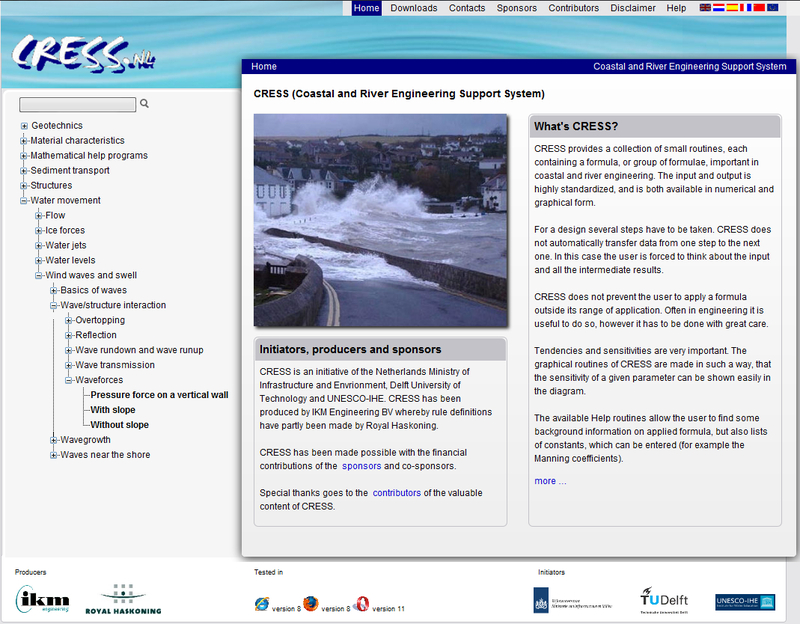 To overcome this problem TU Delft, Unesco-IHE and the Netherlands ministry of Infrastructure have developed a very simple package, called CRESS (Coastal and River Engineering Support System). 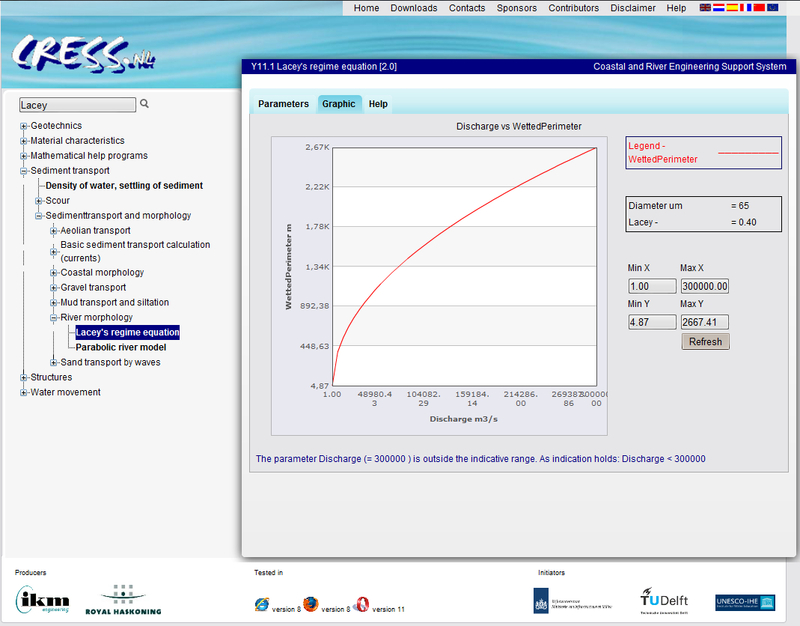 Shortly after implementation of CRESS.nl it became apperant that the availability of CRESS.nl needed to be extended to smart phones due to wifi not being available on various "in the field" working locations. 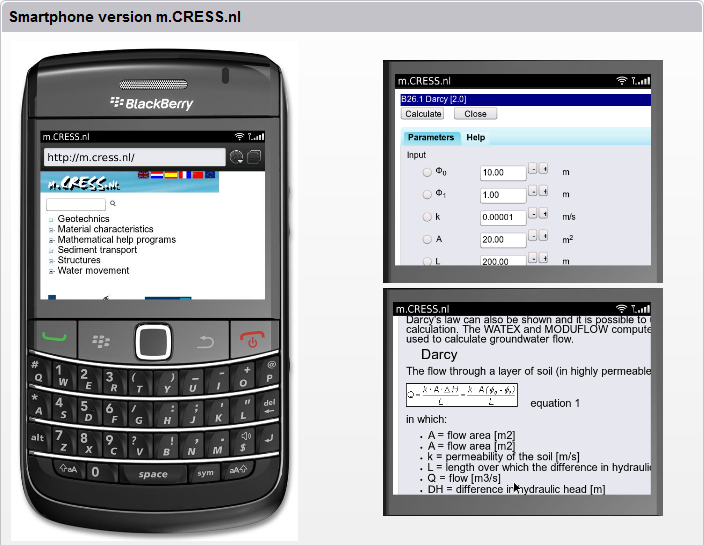 m.CRESS.nl works best with 3G smartphones. For 2G (gprs) smartphones a special rws.CRESS.nl smartphone version is available.